Prime Minister Abe had completely memorized this English speech that lasted as long as five minutes. Has there ever been any other Japanese prime minister who has delivered such an excellent English speech on the international stage from memory, without reading from notes? I was watching this live on NHK, and I couldn’t help being moved. Just imagine how much he had been training, taking time out of his hectic schedule so that he could put on this incredible performance. 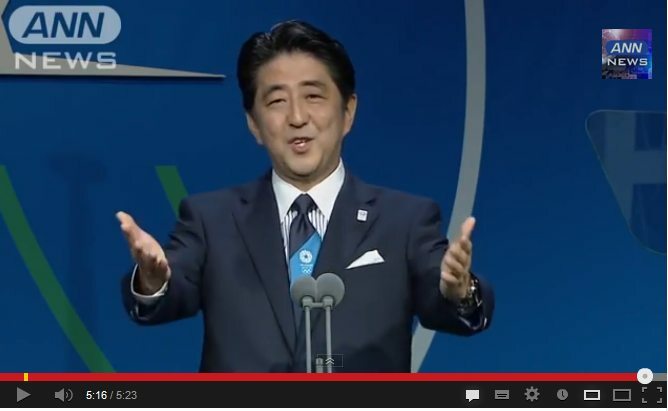 Below is a link to a YouTube video of Prime Minister Abe’s speech.